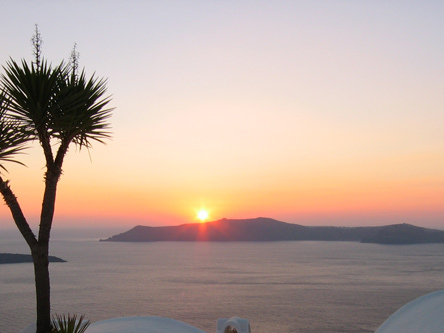 During your tour around the island you will see the traditional settlements and the beaches of Santorini. 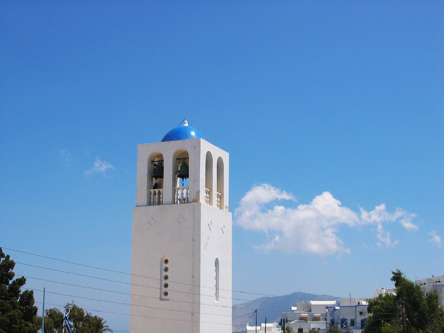 One of the villages you have to visit is Imerovigli. 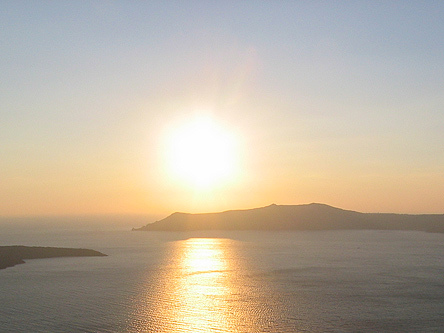 It is built in a privileged location, the highest spot of kaldera, in a 300m height between Fira and Oia. This graphic settlement is considered conserved and it�s ideal for romantic walks. The houses built according to the traditional architecture of Cyclades islands and the dreamy view from the village leave no one untouched. In Imerovigli you will see the remains of the Enetic castle "Skaros" built by Marcus Sanoudos, used as a winepress during the Venetian rule. The path from Skaros leads to the small church of Theoskepasti that has a spectacular view to the volcanic islands Palea and Nea Kameni.